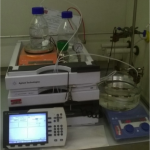 Our group and its research labs are well-equipped with a wide range of analytical, catalytic and spectroscopic instrumentation, permitting a wide range of research tasks to be performed. 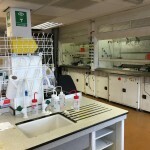 Additionally, as a member of the Cardiff Catalysis Institute, we have full access to the institutes extensive, communal infrastructure (all instruments being available for booking free of charge). 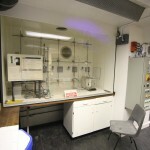 Details of our laboratory instrumentation and the shared facilities can be found in the image gallery below. Our group is split over two research labs (2.90 and 3.31). The first is primarily for synthesis and ambient pressure catalytic studies, the second is primarily for high pressure catalysis research. In total, we occupy approximately 80 sq. metres of space. 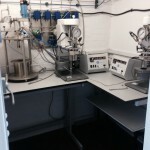 Our synthesis and ambient/low pressure laboratory. 8 metres of ventilated space. 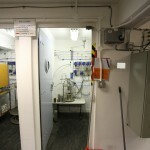 Our high pressure lab, equipped with three blast areas for continuous reactors and high pressure autoclaves. Centralised, high pressure gas delivery is provided. Reduced pressure blast areas (before reactor installation! ), for continuous flow reactors. Autosorb-iQ-MP-XR ultra-high resolution porosimeter. Multi-port porosimeter equipped with 0.1 torr transducers for extended range and extra resolution. N2 and Ar gases as standard, and vapour sorption module for water adsorption isotherms, amongst others. 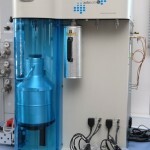 Bruker Tensor FTIR spectrometer equipped with ATR and DRIFT accessories for high temperature environmental studies. 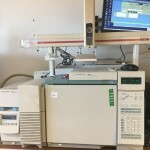 Agilent 6890 GC-MS equipped with mass spectrometer. Dual channel instrument with two columns, and a 100 position Gerstel sampler. 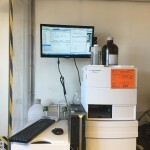 Agilent 1260 HPLC equipped with ELSD and PDA detectors. 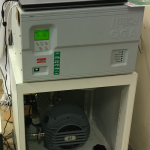 The instrument has two columns with an integrated switching valve (for rapid changeovers) and a 100 position autosampler. 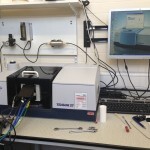 Agilent 7820 GC equipped with FID detector. 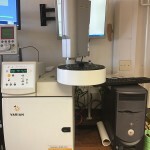 Single channel instrument equipped with a 50 position autosampler. 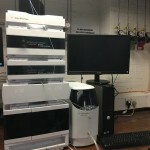 Agilent 1220 HPLC equipped with RI and UV detectors. 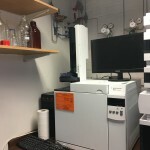 The instrument has a single column and a 100 position autosampler. Varian 430 GC. Compact, single channel GC equipped with FID detector and 100 position CP-8400 autosampler. Mobile Mass spectrometer unit for offline measurements and integration with spectroscopic (UV, Raman, DRIFT, TGA, TPR, chemisorption) and reaction instruments (headspace analysis, online gas phase reactors). 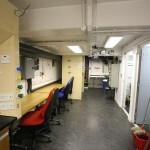 The instrument can also be taken to the Diamond Light Source at Harwell campus for XAS-MS studies. Several, homemade plug flow reactors in liquid-solid mode. Reactors can operate up to pressures of 70 bar (including rupture disk and relief valves) and at temperatures of 200 deg C. Individual reactors and multi-bed reactors are available. 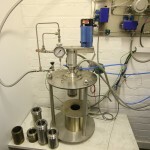 High pressure Baskerville 300 mL autoclave reactor. Reactor is remotely operated by a computerised system that fully controls gas delivery, heating, stirring and hence, safe operation. Two, high-pressure Parr 4597 benchtop reactors, capable of high temperature (< 200 ºC) and high pressure (< 70 bar) operation. Dedicated vent- and rupture-lines improve safety. 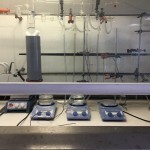 Schlenk lines for catalyst synthesis and air/moisture sensitive work. 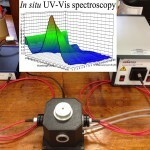 Multiple, fibre-optic UV-Vis units. Avantes 210-1100 nm system, equipped with transmission, diffuse reflectance and dip probes, and Ocean optics Maya system, optimised for deep UV measurements (185 nm – 640 nm). Two in situ transmission cells, capable of stirring (< 900 rpm), heating (< 150 deg C) and pressurisation (< 3 bar) are also available. Hitachi Tabletop microscope for SEM-EDX instrumentation. Access to these instruments is free for our group, and can be requested through the typical CCI booking procedures. Several surface science techniques, including XPS/UPS, STM, AFM, LEED and ISS.